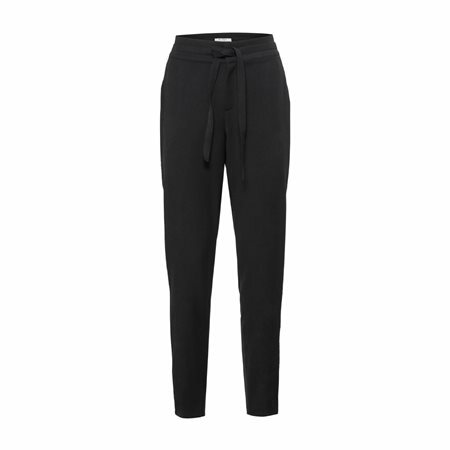 These trendy lounge trousers are a must have for this season. They have been tailored to a feminine fit with a midrise waist and slim leg. The black fabric is soft to the touch and has a metallic strip running down the outside of each leg containing sequins and jewels giving them a modern finish.